1. A registration and permit may be required. A person’s cremated remains must be scattered by a licensed cemetery, cemetery broker, crematory, registered cremated remains disposer, funeral establishment staff member or a family member. If you aren’t relying on a licensed service to help you, California requires that you, or another member of your family who will preside over the ceremony, register as a cremated remains disposer. To receive an application, contact the Department of Consumer Affairs, Cemetery and Funeral Bureau’s Licensing Unit at (916) 574-7870 or fill out an online form on the bureau’s website. After you’ve submitted your completed application, a registration fee of $100 is required. 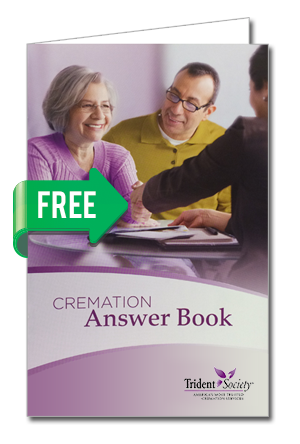 Learn more about what type of information a cremated remains disposer application asks for. If you’re already registered, make sure that you don’t need to renew your license, as the application expires annually on September 30th. To successfully renew your license, you will have to submit an annual report including information on the occasions you’ve scattered cremation remains over the past year. In addition to registering, you will need to obtain a California Disposition Permit from your local local registrar of births and deaths. If the death occurred in the state of California your funeral and/or cremation provider can assist you in this process. If the death occurred outside of California you may contact the registrar located in the county you wish to scatter for assistance. It’s important to closely follow all rules, as it’s considered a misdemeanor if you’re caught disposing of remains without having completed and submitted the appropriate forms, even if you’re a family member of the deceased. 2. There are dos and don’ts of how to scatter. Once you’re registered, getting a firm grasp on how and where you can lay your loved one to rest in accordance with California’s laws can be overwhelming. Here are a few ways you can memorialize your loved one and minimize the stress of this process. In California, you’re allowed to place cremated remains in a columbarium or mausoleum. You’re also able to bury them on cemetery grounds or scatter them in a cemetery garden. If you’re religious, the state has no laws against keeping cremated remains at a church or religious structure if deemed legal by local zoning laws. You can keep them at home with a permit by signing an agreement that you will dispose of the cremated remains at your death. If you want to scatter the cremated remains on a private property or federal land that may have been special to your loved one, you must first get written permission from the owner and a California disposition permit. You may scatter cremated remains at sea, but you have to notify the Environmental Protection Agency 30 days in advance. The federal Clean Water Act also requires that you be at least 500 yards from the shore. The EPA prohibits the scattering of cremated remains at beaches or small natural pools by the sea. You are not permitted to scatter in lakes, rivers, or streams. If you plan to keep the cremated remains in their container, it must easily decompose, or you will have to dispose of it separately. Many people like to scatter their loved one’s cremated remains by air, and while California hasn’t enforced any laws on this, individuals aren’t allowed to drop any objects that could potentially injure people or property, according to federal law. Be sure to remove the cremated remains from their container and obtain a California disposition permit prior to scattering. Spreading loved ones’ cremated remains at a place that was important to them can be a great way to honor their memories and the lives they lived. To make sure this is done safely and respectfully, be sure to look up information on your local and state laws first. For more information on why choosing cremation may be right for your loved one, be sure to visit the Trident Society to help answer all of your questions. Published July 14th, 2016 | Category: Cremation Society.